The purpose of this “Final Technical Report” is to offer a summary of what has been learned thus far in carrying out the research activities involved in the “Public Health Co-benefits of Greenhouse Mitigation Activities in Abu Dhabi” subproject. 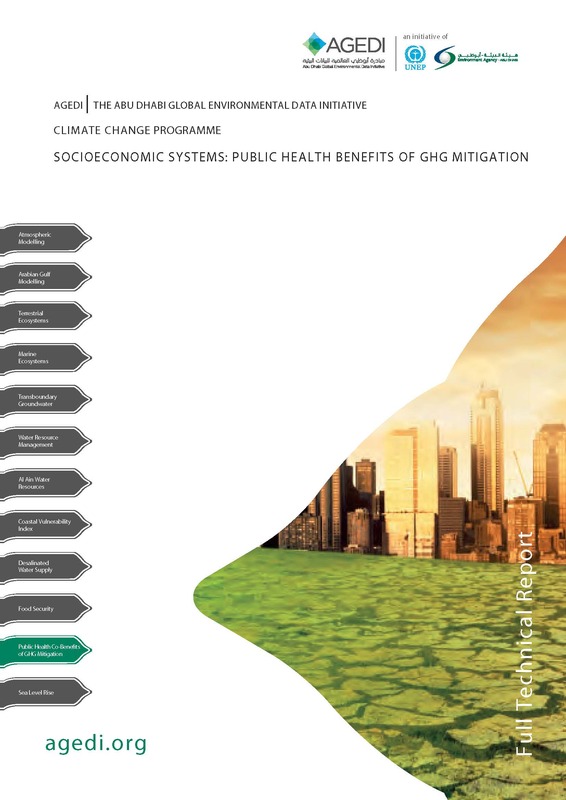 This report seeks to provide the reader with an overall sense of the methodological approach, analytical framework, data acquisition challenges, key findings, and other issues that can support future policymaking regarding the public health co-benefits regarding the future development and implementation of the Abu Dhabi Climate Change Strategy. Ultimately, this “Final Technical Report” report seeks to provide a useful synthesis of all research activities that offers partners and stakeholders a basis upon which to account for important co-benefits associated with greenhouse gas mitigation strategies.